oh man, I haven't done one of these since November. I thought about bagging it, but I'm not a quitter, so her we go, grab a snack and get comfy, seriously! "magna man" by Jovie and Sadler! this boy and his egg salad sandwiches! Sadler had a blast with Ella's new diner play set she got for her birthday! He loved taking everyones orders! first snow day means you bust out the snowmobile ! 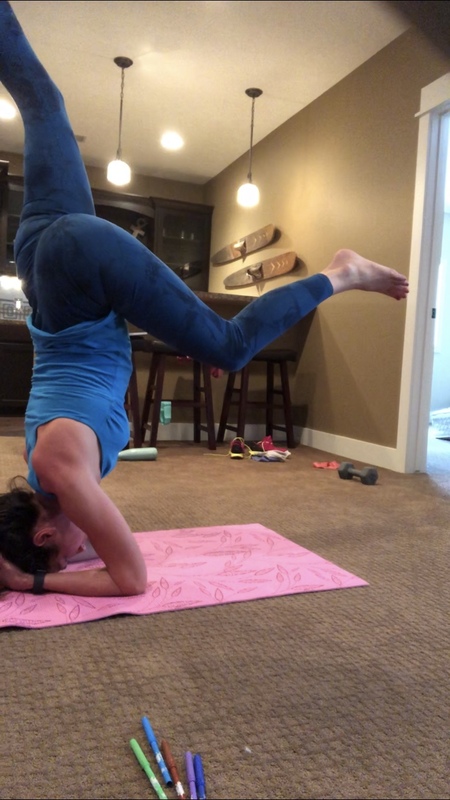 Maybe I should take my own advice and give the head stand practice a rest! decorating Grandma and Grandpa's tree! Jovie's last star helper day, and my last time as the parent helper, so bittersweet! Grayden doing flag duty at the end of the school day! Sadler loving life while out for Grandma's birthday! a good book and another cup of coffee, not a bad monday! I was certain this was a part to a major clue, but alas, it had nothing to do with it! so they could be prepared for their pajama activities at school and church that upcoming week! Sadler and his class at the all school caroling event! while they did the same for us for a fun and unique date night! Each couple had $30 to shop for a new outfit for their spouse and then we had to change into them for dinner. Mindy and Kyle in their new outfits! out for dinner in our new clothes! hot tub fun with friends! a weeks worth of meals prepped and ready to go! Thanks PrepDish! beef stew was a hit! 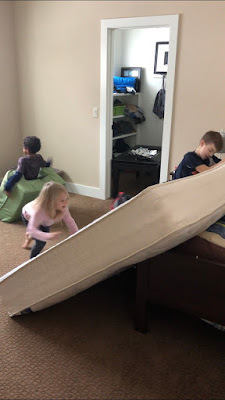 Oh Jovie, her room is a total disaster, always! I took advantage of some alone time to tackle this mess! 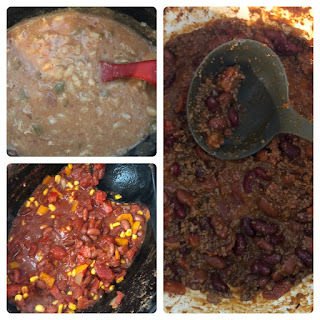 my kind of frozen dinner! french press coffee, what a find! yay buddy! First one in his class to master subtraction facts! I'm not good at letting the kids help me in the kitchen, a little controlling maybe?! But they love to help! such a great boy dad! finding creative places to read on a snow day! Another GREAT weekend at the Woven retreat! Dino nuggets for breakfast! Things were getting dire on our 4th day snowed in! I was only a couple chapters in to this book and I already was hooked! Secret donut stop after dropping Jovie off at preschool on the boys' two hour delay day! pretending it's warm outside with a tropical smoothie! After watching Dax and Kristin play "taste buds" on Ellen, we had to give it a try too! The kids LOVED it! wall sits with my man! I had so much fun doing my nieces hair for the daddy/daughter dance! celebrating great reports at their conferences on a day off from school! she LOVES baking, which has been fun for everyone because I very rarely do! my favorite way to warm up in the Winter! Taco Bell dinner for Brenham's birthday. We've been loving the Play Nine game lately! Between snow days, cold days, early release, conferences and no electricity days they hadn't had a full week of school for 8 weeks! 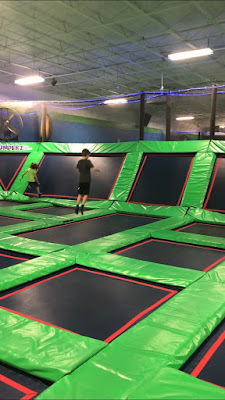 Bouncing away at their school fun night at Rebounderz! We saw the movie "Wonder Park" with the Roelofs on another day off of school! 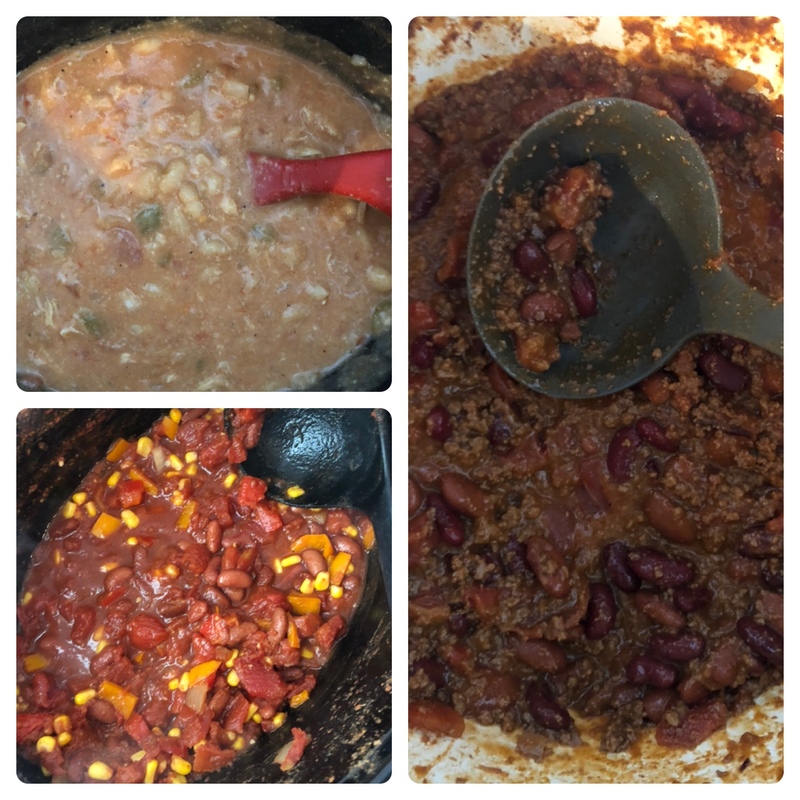 this time with a chili cook off! So good! Robb stayed home from church with Jovie when she was complaining of a tummy ache, so Grayden wanted to sit in "big Church" with me! Awe! When we came home Robb had Nutella and Strawberry Crepes made for us! They were amazing! field trip to the Saugatuck dunes with my favorite 4th Grader!